Insanity Radio is proud to announce that it has won a Student Radio Award, also receiving two silver awards. The gold award, in the category of Best Technical Achievement, was awarded to the station by BBC’s Dave Walters. 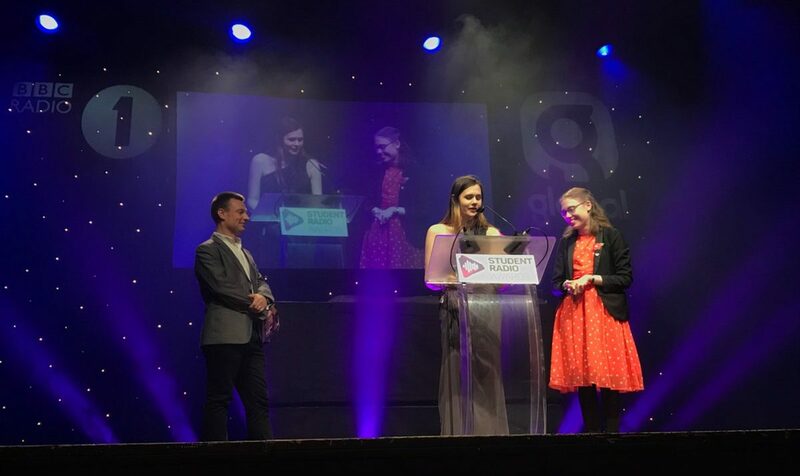 Jam Woods, Head of Computing, who accepted the award on behalf of the station’s technical team, said: “It’s a wonderful feeling to have your team’s hard work recognised at a national event. This is also a particularly important milestone, as a woman-led team haven’t won in this category before. The two silver certificates were awarded to Sophie Shapter for her documentary series Shadow, and Philipp Carl Kostelecky, in the category of Kevin Greening Award for Creativity. Shadow is available for listening on MixCloud, and you can find Philipp on Sundays at 5PM. Insanity Radio is always looking for new volunteers, student or not, to join our many teams. There’s plenty of information on getting involved available on our website.